As we’re fast-approaching the biggest mobile extravaganza, MWC 2018, hardware makers have started gearing up to show off their flagship smartphones to the consumers. 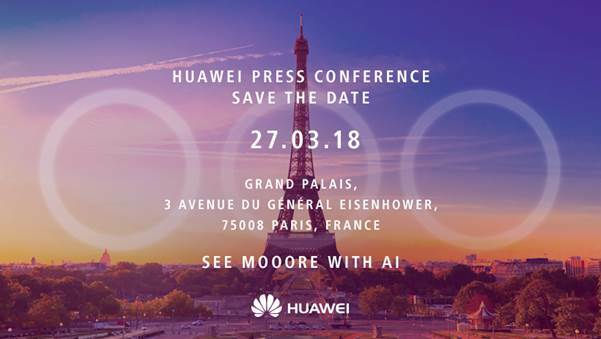 But Huawei wants to skip the event in Barcelona and has today sent out press invites for a new launch event on March 27 in Paris, as was suggested in a prior leak. The Chinese hardware maker is expected to launch its flagship phones, the P20 and P20 Plus, during the event and the rumor mill is going crazy. The devices were rumored to host a triple rear-camera system and Huawei has gone all out and verified these reports. You don’t even need to double-check as the invite is completely focused (see, what I did there) on highlighting the stand-out feature of its upcoming flagship device. These invites include three circular rings that overlap the Eiffel Tower, which is supplemented with the ‘See Mooore With AI’ tagline. Also, if you didn’t notice, there are three O’s in the tagline, so what more do we need to confirm the triple camera system? The specification info on the P20 and P20 Plus is quite scarce, but we still have an idea of what both the devices can bring in tow. 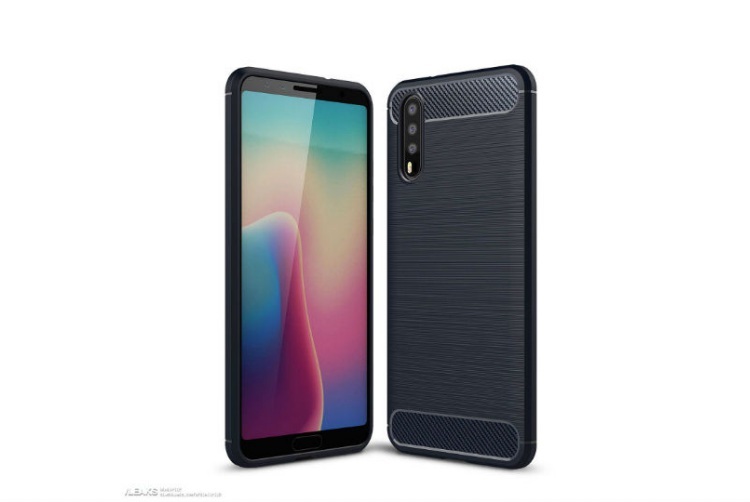 The rumor mill currently suggests that the display size of the P20 might vary from 5.7 – 5.9 inches, whereas that of the P20 Plus can lie between 5.8-inch up to 6.0-inch, along with a resolution of 2280×1440 pixels and a 19:9 aspect ratio. The P20 flagship series is also expected to bring along an enhanced ‘Face Unlock’ technology, which was shown off during the launch of its sister company’s Honor View 10 device. Talking about the optics, the rear-camera setup will feature three main lenses that will be capable of outputting 40MP photos. The triple camera, like previous P-series devices, is yet again being co-developed by Leica and would most likely be placed in a vertical fashion. Because why not? Apple did it as well. The highlight of the Leica triple rear-camera system will, however, be its ability to provide 5x zoom capability to the users. This means a P-series smartphone will destroy its rivals, who’ve just implemented 2x zoom with the dual-camera systems, in the camera department once again. The flagship devices will also sport a 24-megapixel selfies snapper, as tweeted by well-known leakster Evan Blass. So, are you excited for the upcoming launch of this P20 series at MWC? Let us know your thoughts down below.